Disney knows how to keep its magic alive and it has done it yet again. In the latest clip from its upcoming film Beauty and the Beast, Emma Watson sneaks in a little hello as she belches out her title track Belle. Beauty and the Beast is an upcoming live-action adaptation of the 1991 animated film. In the clip, Watson can be seen making her way through a village while singing the song that was composed by Alan Menken. Menken has also co-written the song with Howard Ashman. Watson’s version of Belle was teased some time ago but this is the first visual we have of her singing the track in the film. And as expected. Watson totally nailed it. She is the perfect Belle and to watch her sing the track brings back the Disney nostalgia. The cast of this Bill Condon directed film includes Dan Stevens, Luke Evans, Kevin Kline, Josh Gad, Ewan McGregor, Stanley Tucci, Audra McDonald, Gugu Mbatha-Raw, Ian McKellen, and Emma Thompson. As per the Beauty and the Beast official Instagram account, the cast is currently in Paris on a press tour and they say “bonjour” to their fans. The final official trailer of Beauty and the Beast was released in January and it completely took every fan’s breath away. 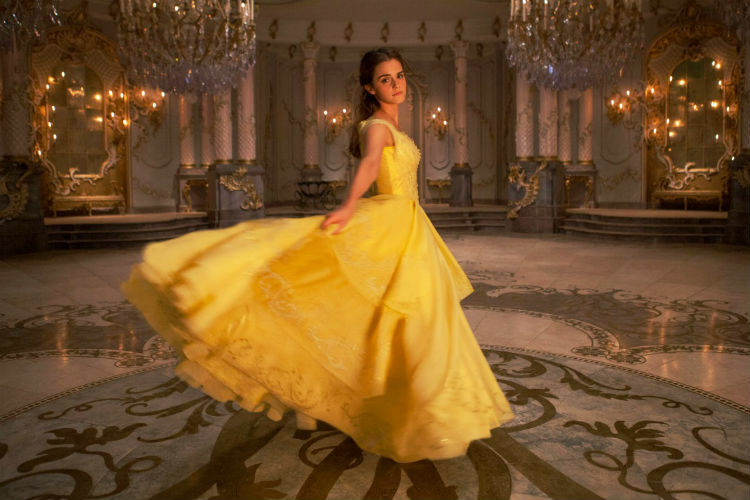 Watson’s tailored portrayal of Belle has been especially highlighted throughout the promos and the 26-year-old actress has been praised for it. The much awaited Disney film has been slated for a release on March 17.